Noon Mediterranean is celebrating their new name (formerly Verts) and new menu with an “Eat at Noon – On Us” series. 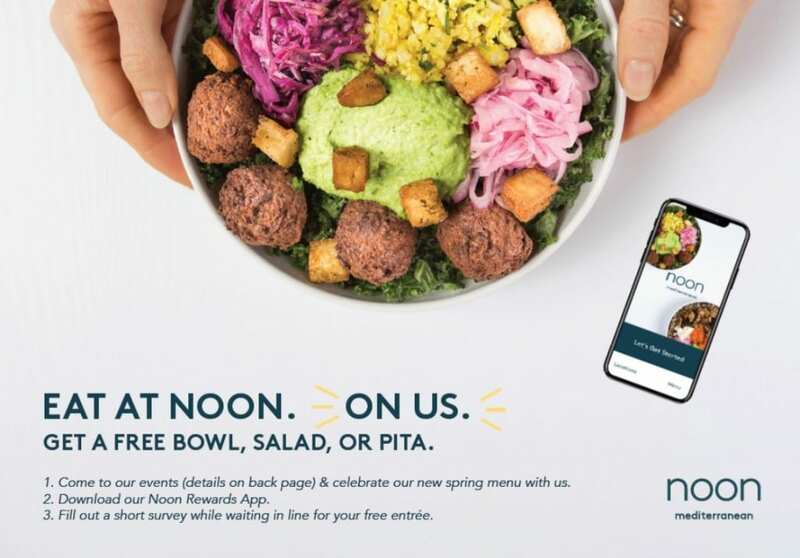 Noon will be giving away free food from 11-1PM at each participating restaurant when you download the Noon Rewards App and fill out a short survey in line. This is a great way to try Noon for free on May 30, 2018 at the Summer Street location and June 1, 2018 25at the Washington Street location for lunch. 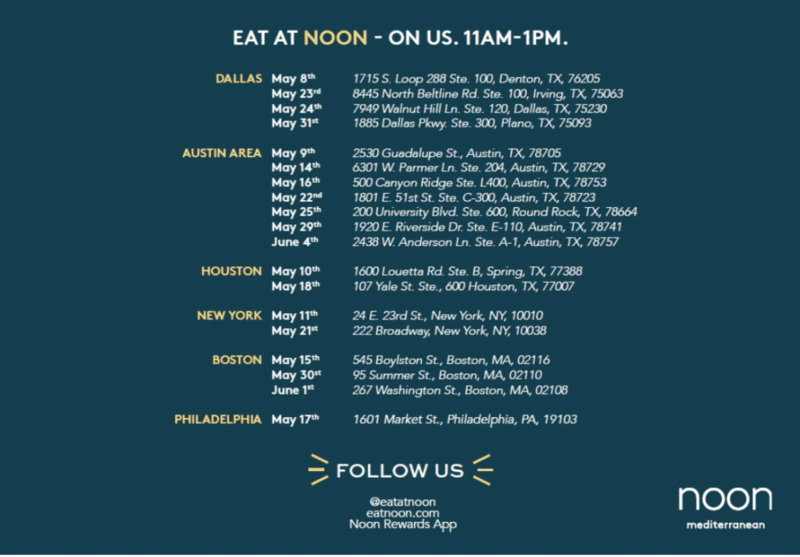 For more information about “Eat at Noon – On us”, please head here.